Hikers at the popular Stanford Dish are spending more time keeping their eyes down due to an influx of spiders in the area. The tarantula mating season is in full swing, with male arachnids on the prowl searching for mates. 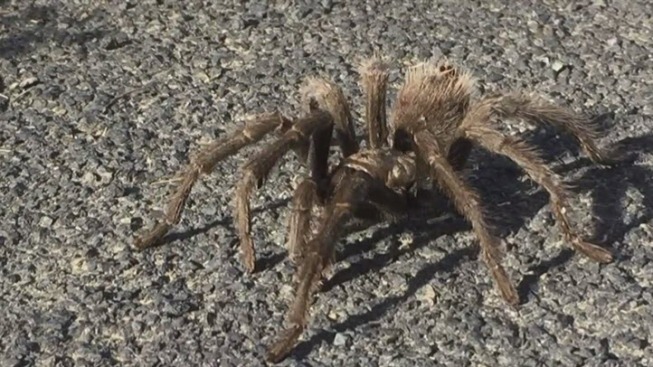 Wildlife experts said the tarantulas are harmless to humans, but warn the spiders do have fangs and carry poison. California's historic drought may have contributed to a higher number of the giant spiders this year. The tarantula mating season will end by the end of October.